Piling up on the excesses – Smoothies are all about putting a few good ingredients together and blending it into a smooth paste. However, it is always desirable to add an extra crunch to it for the sake of your ever curious taste buds. So, extra toppings in the forms of fruit jellies, crushes Oreos, chocolate sauce etc usually creeps into the list of ingredients sooner or later. This, though, robs the true benefits of the smoothie while adding innumerable calories to this otherwise light and refreshing meal option. Solution – Try switching to healthy toppings like fresh berries, chunks of fruits and roasted nuts. Absence of proteins – The focus of any meal should rest on proteins. Proteins help in muscle building and are the primary ingredient behind healthy loss of fat and gain of muscle mass. So, if your smoothie is lacking in proteins, there is every reason for you to look puffier even if your weighing scale reports some loss in the poundage. Solution – Try adding high protein ingredients like milk, tofu, Greek yogurt, cottage cheese, nuts or nut butter to your shake. Be careful about the quantity you add though. No fiber content – Fiber is not just the best friend of your gastrointestinal system, it is also responsible for managing / regulating sugar levels in the body. This goes a long way to ensure that the simple carbs in your smoothie (if at all), does not build into reserve fat under the skin, making you pay for your smoothie than earn from it. For those who believe that fruits offer fiber (rightly though) should wake up to the fact that all fruits are not fiber rich. Bananas for example are very healthy ingredients for smoothies but shy away when it comes to offering the necessary quantity of fiber. Solution – Choosing the right fruits is the only solution. You can opt for a range of different berries for best results. You can also add pears, avocadoes and even chia seeds for that matter. Going for readymade options – Readymade store bought options are a sure shot killer. Whether you buy little pouches or take outs from juice / smoothie bars, you should be ready to accept that fact that these options are rich with taste enhancers of all sorts. Even if they claim to be of zero calories and what not, end of the day, you would have done your bit to gain than lose weight. Solution – There is no solution to this. 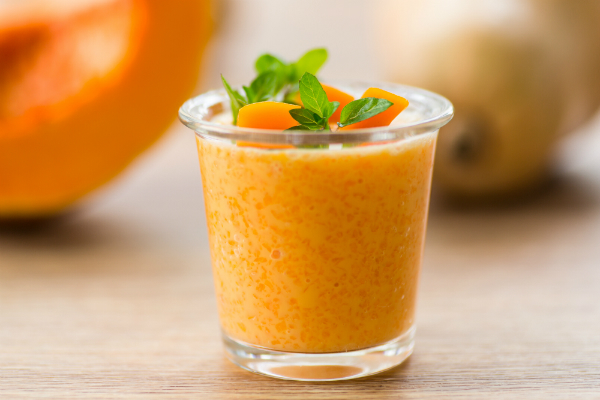 You will always be better off making smoothies at home with natural ingredients.